Part of the show Does Beer Kill Brain Cells? My question is about the stability of change with crocodiles. We learned from various sources that all birds, incredible varieties of birds, came from a small pool of dinosaurs and mammals apparently all came from a shrew-like creature. I just wondered why crocodiles seem to be very stable over the same sort of period. Is there something special about their DNA or is it just the environmental factors that keep them moulded to the way that they are? Anyway, hope all is well. Thanks very much. Michael - Crocodiles are extraordinary animals. They are not very common. There's only about 15 species of them on the earth today and they haven't really changed very much for the last 200 million years, or at least to our eyes, they haven't. There are two reasons that people sometimes give to try and explain this phenomenon. We call them living fossils, meaning, animals or plants that haven't apparently changed very much. It's not a very precise term so we have to be very cautious about it. It may just be our perception - they look the same to us. But those explanations are either that they're hugely successful on the one hand or on the other hand, that they're just doing something that nothing else wants to do - so a kind of strongly positive and a somewhat negative interpretation. 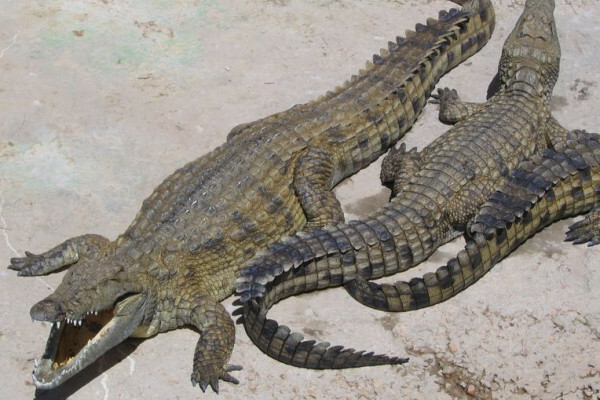 So, the highly successful argument is that crocodiles are doing something remarkably well. They're preying on animals, fish and land animals in fresh water generally, sometimes in salt water. They're feeding in a particularly beastly manner and nothing else can compete, and they do it so well that there's no reason for them to change their mode of behaviour. The other explanation is that they're doing something so obscure that perhaps no other animal is interested or has had any evolutionary pressure that it should evolve into this particular niche, and therefore, nothing is really competing with crocodiles, so they can just potter on doing what they've been doing for the last 200 million years, and nothing in evolution is driving them to change. Previous Is there a cure for spots? Next Will an increase in GPS tech mean more satellites? Why have crocodiles not changed very much over the last few 1000 years?